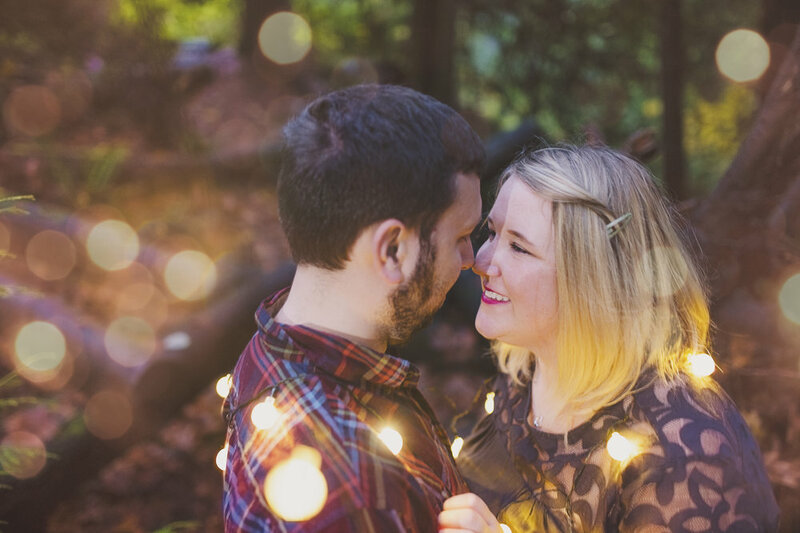 Emmy + Rob were looking for Christmas cards and wanted a woodsy session, so of COURSE I got all excited and recommended that twinkle lights be a thing. You know me, always a twinkle light fan. I do love me a cute Christmas card! 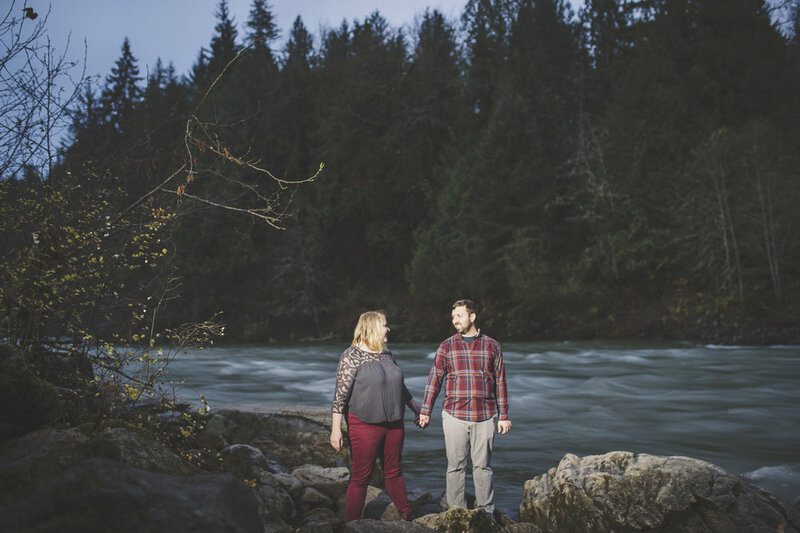 We went out to Snoqualmie Falls and walked the trail for a while, while I giggled along with these two. They've been friends of mine for so long now and I'm happy to say they are now pregnant with their first child! It seems like they were just getting married yesterday... how time flies! 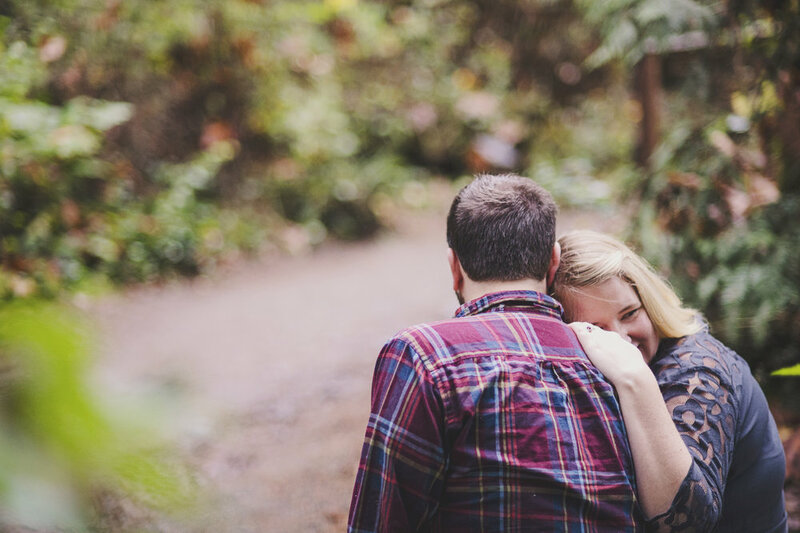 These two have one of the sweetest relationships I've ever witnessed, and it was so fun to hike around to find a great spot for pictures. I think we found some cute spots! 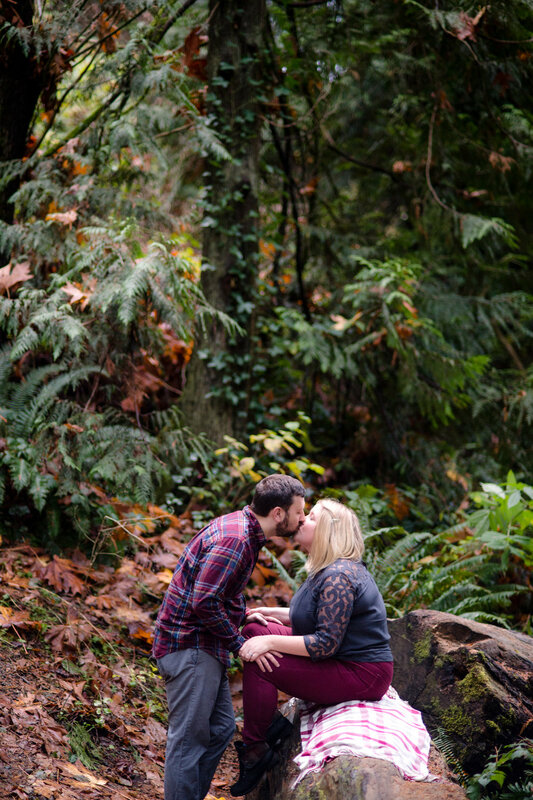 I LOVED our hiking sesh (even if we did go until dark!) with your cuteness and twinkle lights. I'm looking forward to seeing baby soon!